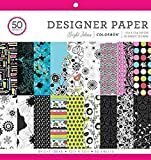 ColorBok 12 inch designer paper pad is perfect for all your paper crafting projects. 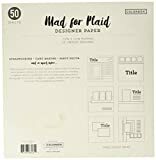 It contains 50 sheets with 2 sheets of 25 unique made for plaid designs. 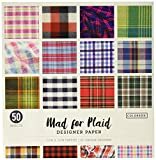 Interested in the 12in Designer Paper Mad for Plaid (Style may vary)? Is the price too high? You can easily price watch this product and we'll notify you when the price reaches your target.